Reconstruction of Old Wagon Road Trail is about to begin. Due to massive amounts of Rainfall in July of 2007, many of the trails at Wyalusing State Park were severely damaged. A trail crew from the Department of Natural Resources have reconstructed Sugar Maple Nature Trail in 2008, and Sand Cave Trail in 2009. 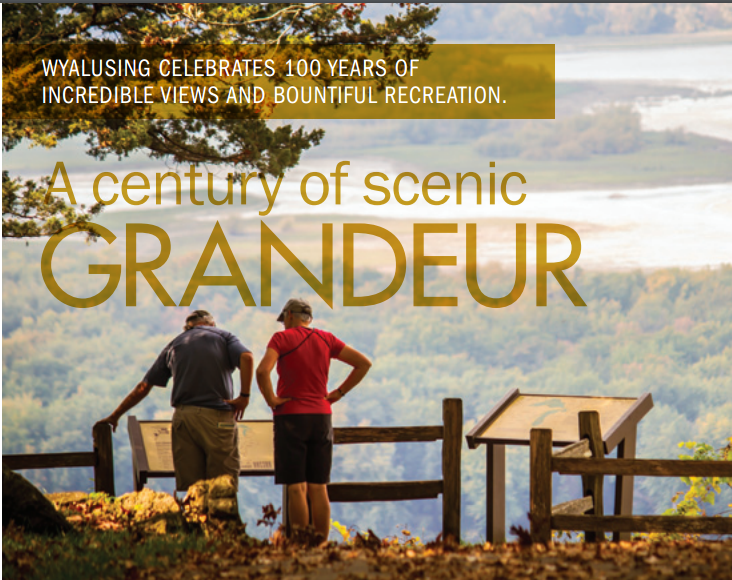 2010, marks the reconstruction of the popular and historic Old Wagon Road Trail located in the northeast part of Wyalusing State Park. The original Wagon Road Trail descended to the Wisconsin River. Along the w ay, the hiker could choose to follow the Wisconsin River bed along the northern border of the park, or head south to Big Sand Cave. As of this date, however, the old trails have washed away. The existing trail head, located across from the tennis courts, is barricaded. Old Wagon Road Trail will remain closed during the reconstruction. Should an emergency occur, it will be difficult to get rescue vehicles in a position to render aid. Hikers are encouraged to find safer, marked trails in the park. A blanket of spring flowers cover the approach to Old Wagon Road Trail. The initial layout of the reconstructed Old Wagon Road Trail follows the original trail footprint, from the parking lot across from the tennis courts, about two thirds the way down Walnut Eddy Hollow. The original trail descends to the Wisconsin River bottom. However, due to the massive amount of erosion, the new trail makes a turn across the shallowest part of the ravine. At this point, the initial reconstructed trail will start its assent to Yellow Thunder Point. It appears as though the hiker will use stone steps a short distance. 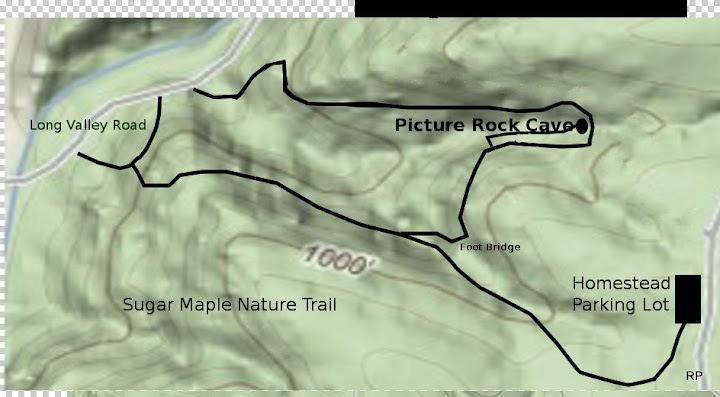 This is a very preliminary trail layout. The final reconstruction will result is spectacular views and safe pathways. The view from high atop Yellow Thunder Point looks East along the Wisconsin River. Old Wagon Road Trail will, when complete, combine the best that Wyalusing State Park has to offer; hiking along historic pathways, somewhat strenuous slope s leading to rewarding vistas where one can sit high atop the Wisconsin Bluffs admiring sunrises, Eagles floating on the Eastern horizon, and dreaming of times past when early immigrants traveled west by covered wagons to a better life.